It’s the day of Kirsty’s school disco! 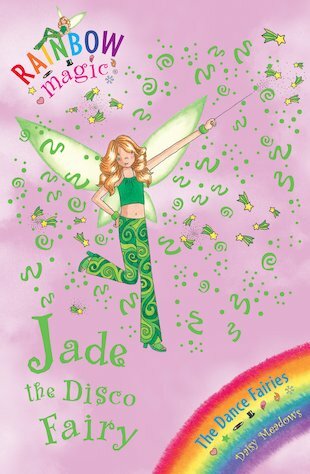 But Jade the Disco Fairy’s magic ribbon is still missing, and without it the disco is going to be a complete disaster. Kirsty and Rachel need to find it – fast! Jade is in charge of the type of dance disco. this is sooooo cool, Really Good! I liked the part where Rachel bowled the goblin over with a disco ball!